Make your own cards with your theme of choice. 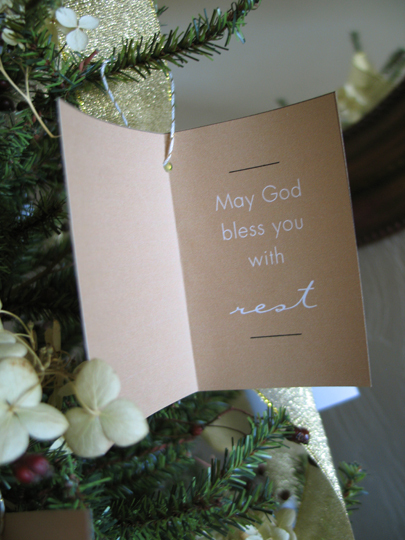 Will it be blessings for all your holiday visitors? 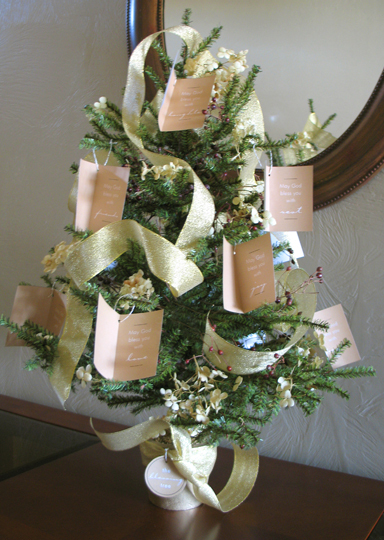 Or will you create and decorate the tree to present as a gift for someone else? A "thank you" to someone who's been a blessing to you this year? A way to brighten the home of an elderly person or anyone unable to decorate for his or herself? Some card ideas: "May God bless you with rest." "May God bless you with friends." "May God bless you with peace." joy, hope, family, love etc. 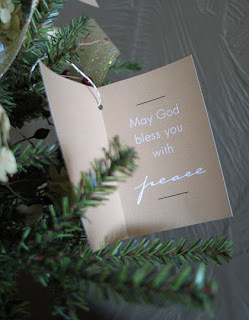 Can you think of who to give The Blessing Tree to? What would your version look like? Love this idea. 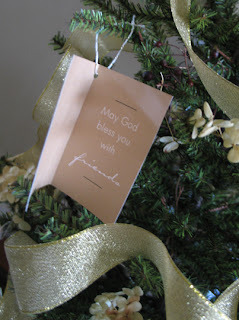 We do a thankfulness tree, but I love the idea of giving away a blessings tree - how special. Plus it looks LOVELY! I love this idea! How wonderful it looks. Your blog is so full of inspiration. I am always amazed when I come by for a visit to see what you are working on! I really like this idea! I have been thinking about doing a scripture tree this year but I really like the Blessing tree! Beautiful! 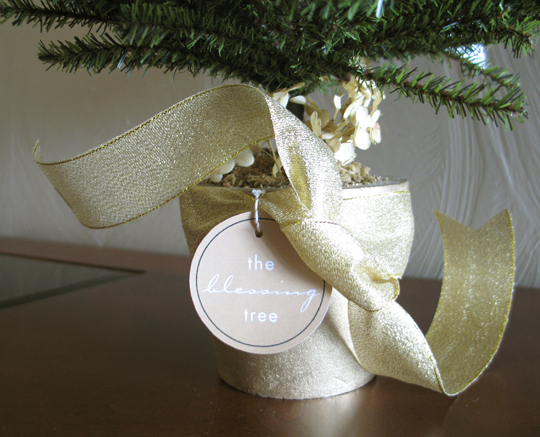 What a beautiful gift idea for the holidays :) It captures the spirit of Christmas and would really make someone's day. Well done! Such fun & meaningful decor :) That is my favorite kind! I found your page from Joy's 101 and now I'm following you too. Have a great day! This is such a great idea. How beautiful! Thanks for sharing. I met you at Bloggy Bootcamp and am just over to say hi! Your hallmark products are so cute! What a neat website and blog you have. This is just lovely! I think I'm going to copy the idea for a church display I'm working on.